Insider confessions is yet another free binary options system. At the top of the website there are a couple of scripts, one says that when the clock strikes zero your spot will expire so I decided to wait until it hits zero and nothing happened. Not a great start. Today I’ll be providing a review so the binary today readers know that this is a software(insider-confessions.co) not worth getting involved with. I really don’t waste too much of my time or yours discussing the potential of insider confessions. Sadly this is just another free binary options system and we have a zero-tolerance policy on these here at binary today. There has yet to be one free binary system that works successfully and until there is there is no reason for us to take such a large risk. The insider confessions website looks just like the rest of the free binary system sites. They provide you with a bunch of scripts that try and make you want to purchase as well as a short video talks about how much money you can make and how easy it is to make it. 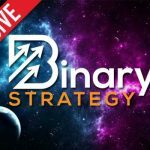 These websites never discuss the actual strategy being used to trade binary options and how the signals are being generated. These are the things the real traders need to see and people that make real investments thrive on. Obviously with that being said I won’t be recommending the insider confessions software to any binary today reader or anyone else who happens to land on to this review. If you are looking to make money in the binary options market you can browse my website for software that actually works and has been rated by the binary today community or you can send me an email. Also, if you want to leave a comment about this review you can just scroll down and leave your opinions underneath the article. I also have a newsletter that you can sign up to so feel free to join that as well if you’d like. Hello: I was reading your reviews. Have you run into an automated software that really works…..that is with a 70 to 80% win rate? Hi Nathan, there are no automated solutions in binary that are successful at this point.